Luxurious home in Inlet Beach neighborhood with low HOA dues! 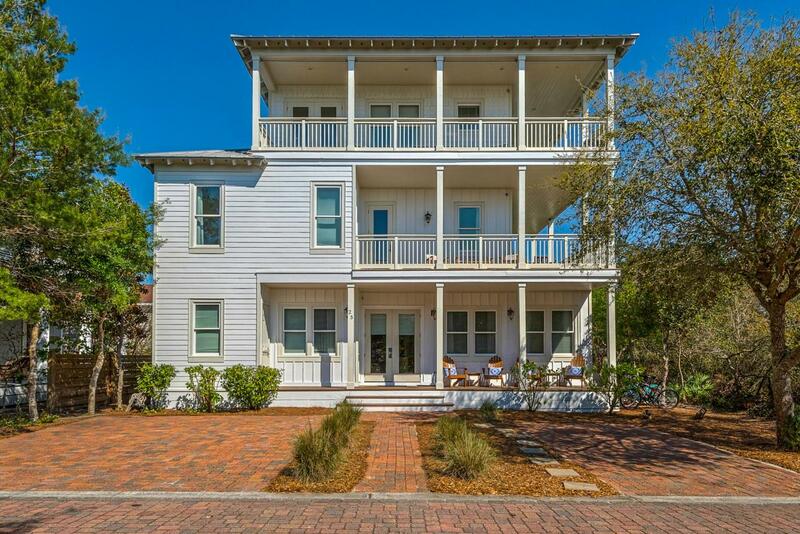 This 5 bedroom, 4.5 bath home comfortably accommodates large groups with room to stretch out and breathe. Every floor has outdoor living space, with the second and third floors featuring wrap around balconies on the west and south sides - sunset and gulf views! 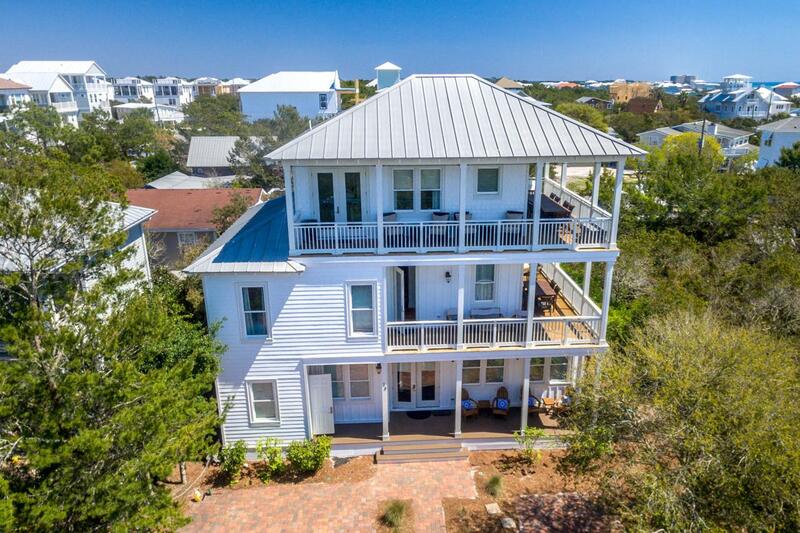 You are steps away from the shops & dining of 30 Avenue and Rosemary Beach plus two beach access sites and a private neighborhood pool. First floor is open concept living/dining/kitchen, along with a large master suite. Second floor has 3 bedrooms - one with bunks and one with a queen, which share a jac & jill bath. The third bedroom has a king and en suite bathroom to serve as a second master. Laundry room and one of the owner closets is also on 2nd floorThe third floor boasts a second living area, a bedroom and full bathroom plus an additional owner closet. This 3rd floor living area can accommodate a sitting area and a daybed in separate spaces. Both 2nd and 3rd floor balconies have multiple seating areas and large dining tables. 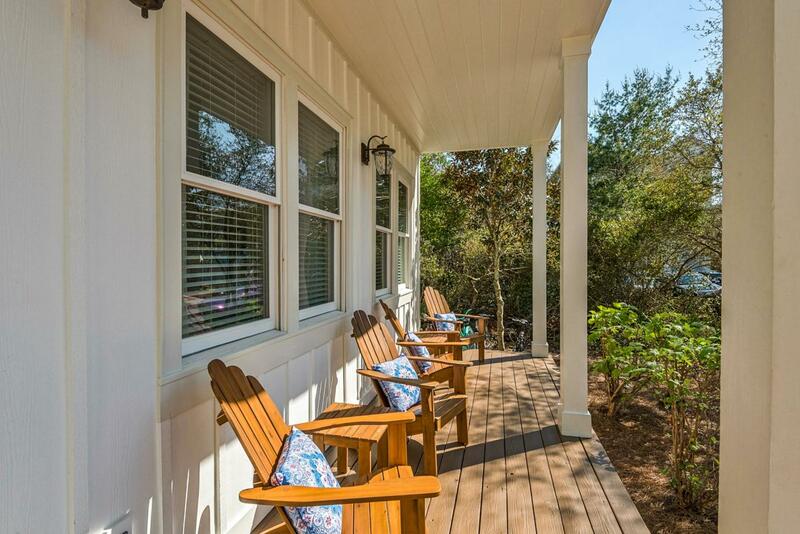 There is also a large outdoor storage closet on the front porch. 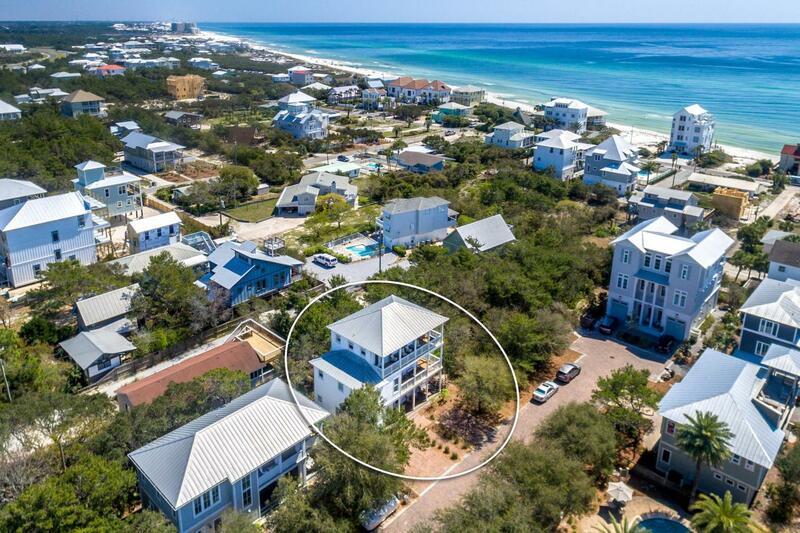 This truly is a great family beach home. Call today to see this gem!